My last visit here was in 2014 when I was hoping to grab their so called best in Singapore Popiah but learnt that they are not making any popiah on Sundays. In fact, I had called a few times on Saturdays before heading down to check if Popiah is still available but it was always the case that they were sold out. We took additional effort to head down in the morning and joined the crowd fighting for popiahs. Just Kidding. In fact, with limited number of seats in its premise, many of us were standing up waiting for their take-aways. So what's the verdict of the Famous Popiah? I wonder if I had went there with a higher expectation as it still makes me wonder what was it for their quick clearance / sold out daily. 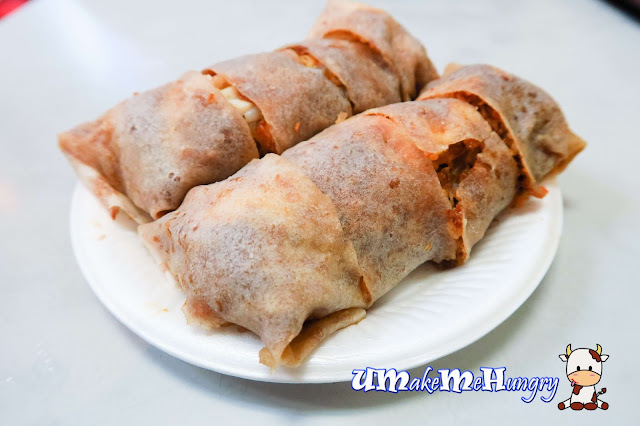 No doubt that popiah skin had secured and tightly hold the ingredients, it is still not the best I ever had though I enjoyed the additional texture from the cripsy bits that made up part of their ingredients. 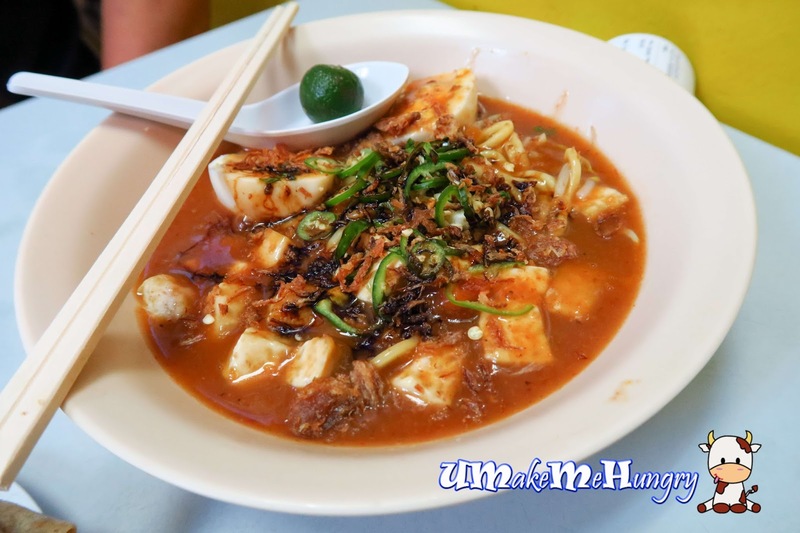 Ordering one of the popular dishes, Mee Siam without prawns. I find that the sourish and spiciness had complemented each other well in terms of its gravy. It was really inviting, packing with the sourish flavours and additional texture was given by the toasted crispy Tau Pok which perhaps spell out the difference as compared to other Mee Siam. The taste of Mee Rebus has nothing changed ever since my last visit. The taste of gravy was sweet and with hints of prawn stock, bringing differences from the usual ones we had from the Muslim stalls. Overall, food is still worth waiting for and the price is relatively reasonable with the portion given. I will be back especially for their Kueh Pie Tee!